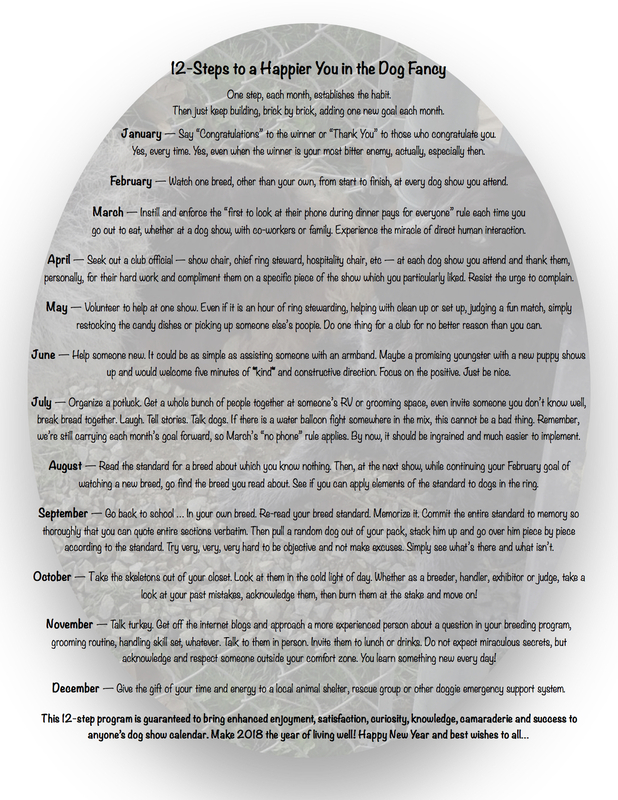 The last two weeks of the year are normally a quiet, restorative, hibernating time of year for folks. Even with celebrations, friends, family and feasting, the tempo gradually slows down as we take time to review the year past and contemplate the one ahead. So Merry Christmas crew! As we each celebrate the holiday season in the fashion we choose, I just wanted to take a few minutes to say THANK YOU. I mean, wow! The first Pure Dog Talk episode debuted Nov. 21, 2016… thirteen months later, we have created more than 140 episodes released on iTunes and just about every other available podcast delivery system. We built a huge, resource-rich website. And we’ve enabled well over 160,000 FREE downloads of knowledge and insight directly from the best in the sport to anyone who wants to listen and learn. What an amazing gift you have given Mary and I. All of you…. Our listeners, our fans, and so many legends who generously shared your time, your memories and your wisdom. We literally would not be here without you. Last year at the AKC National Championship in Orlando, I walked a couple marathons worth of concrete floors, spreading the word about our brand spanking new venture. This year we were thrilled to announce we’ve joined forces with Aramedia Group, publishers of ShowSight Magazine, to enable the show to reach an even larger audience. Mary and I are no longer a two-girl band! With AJ Arapovic and his outstanding team behind the show, we have some really exciting plans on the horizon. Each one of which is designed to continue serving our thriving community of avid knowledge seekers in bigger and better ways. We hope you’ve already signed up to join us. If not, just stop by the PureDogTalk.com or the Facebook page and click the “Don’t Miss an Episode” button. Your name and email address is all we need to keep you in the loop. Let’s continue Celebrating the History of our sport and Creating a bold vision of our future! Meanwhile, as we all know, I can’t miss out on a teaching moment so here goes. Newsflash gramma, it’s puppies. Sweet puppy breath, fat puppy paws, silly puppy antics, gumby puppies sleeping, noisy puppies eating. Puppies encapsulate all that is good and pure in the world. Of course, there’s also puppy poopie and peepee; puppy gruel; six loads of laundry a day; sleep deprivation; random and limited opportunities to bathe, eat or socialize; no time for Christmas decorating; and, the attendant brain fog descending due to all of the above. Puppies embody that spirit of renewal and cleansing that make the New Year such a joyous celebration. As we bid farewell (and for many, good riddance) to a turbulent and divisive year past, let’s raise a glass to the hope, the joy, the pureness of purpose represented in our puppies. These little ones, if we choose them as our guides, harbor hate for no one. Their affection is not restricted based on race, gender, sexual orientation, creed or national origin. They are equal opportunity employers of beseeching looks, demanding caterwauls at feeding time and sock destruction. In an uncertain world, we can find comfort, courage, kindness and focus in the unquestioning trust of a puppy’s steady gaze. Laura Reeves Sings 12 Puppies of Christmas - OMG! 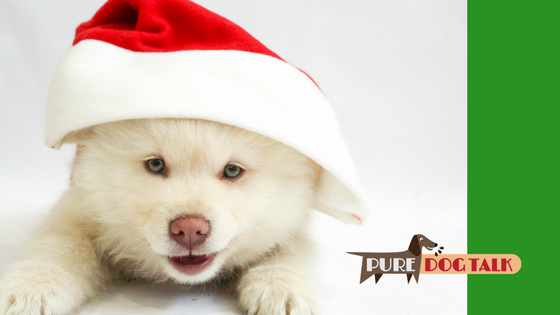 Peace on earth, good will to mankind from all of us here at Pure Dog Talk.